This will run in Arcana's line of comic books. Please help spread the word for me, post this in your blogs and websites! 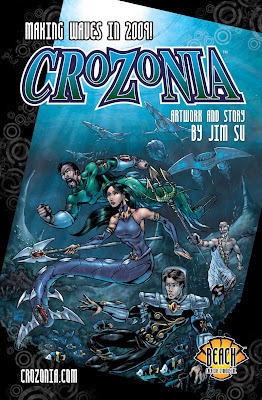 Crozonia will finally be released through Distribution in 2009. The first issue is slated to appear in the PREVIEWS catalogue in February. It will arrive in stores in April. Order Code and promotional items to follow! 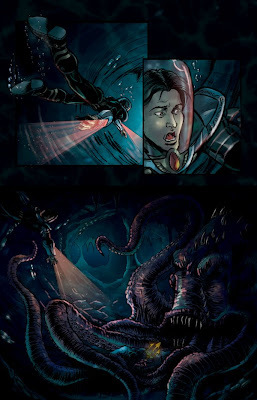 Crozonia will be distributed by Diamond Comic Distributors, the world's largest comic book distributor! More info to come! Crozonia Issue 1 now available on WOWIO! You can now read the first issue of Crozonia online for FREE at WOWIO! A medium PDF for download is also available at $1.99 USD. Go on, read the first issue!